In 2011 I had the opportunity to photograph the hydroelectric powerhouse at Proctor, Vermont. 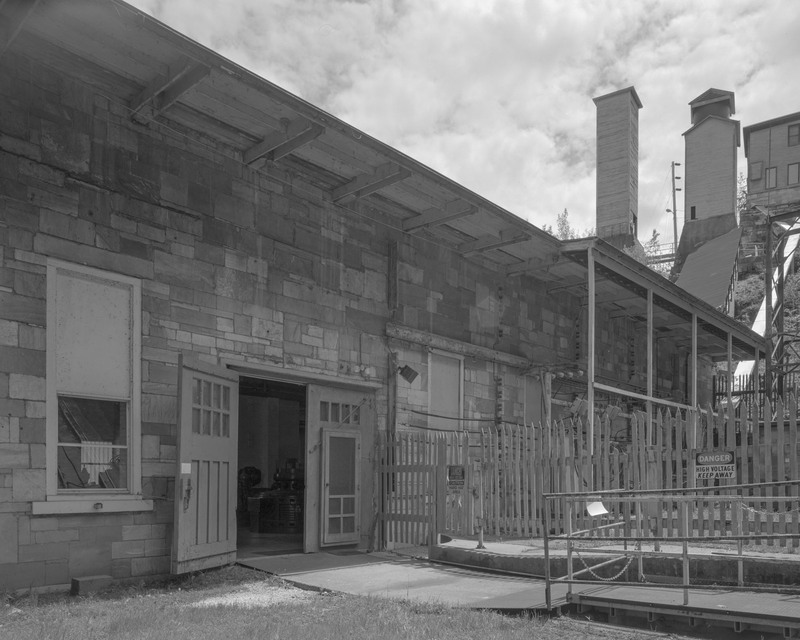 This station was built in 1904 as the source of power for the Vermont Marble mill in Proctor. The original generating equipment remained in use, but the new owners of the plant, the Central Vermont Public Service, planned to upgrade the plant’s generating units. I had previously recommended the station eligible for the National Register of Historic Places, with the original generating equipment identified as contributing elements. Because the station is licensed by FERC, the removal of the original generating units was ad adverse effect under Section 106 of the National Historic Preservation Act, and I was hired to conduct the HABS/HAER photography and documentation of the plant. By 1900 the Vermont Marble was on its way to becoming one of the nation’s largest and most important producers of architectural marble in the United States. The company was innovative in many ways, including its early adoption of hydroelectric power. In 1889, Vermont Marble installed a steam-driven electric dynamo at the marble plant in West Rutland, which produced direct-current (DC) power that was used both for electric lights and electric motors for the plant machinery. In 1897-1898, the Company installed two hydroelectric generators at Proctor, rated at 150 kW and 500 kW. These early hydroelectric generators were quickly eclipsed, however, by the Company’s new flagship hydroelectric station at the Proctor mill. 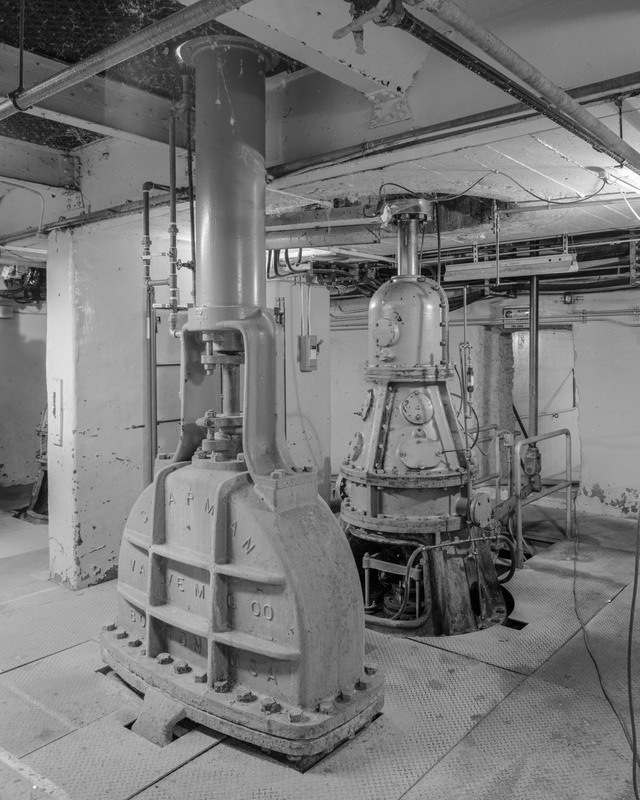 Vermont Marble constructed the new powerhouse in 1904-1905, and though it was designed to hold four vertical generating units, initially it included only three units (currently identified as Units 2-4). 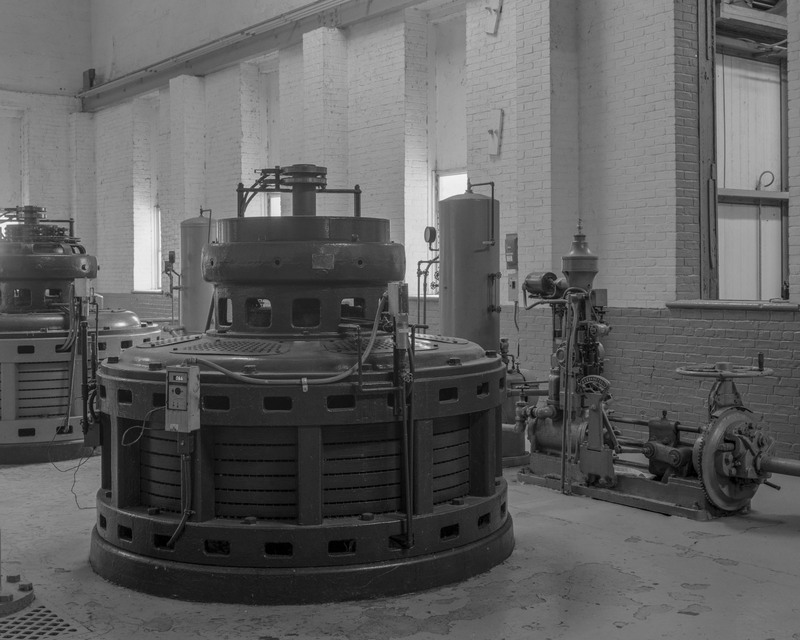 The turbines for the first three units were manufactured by I.P. 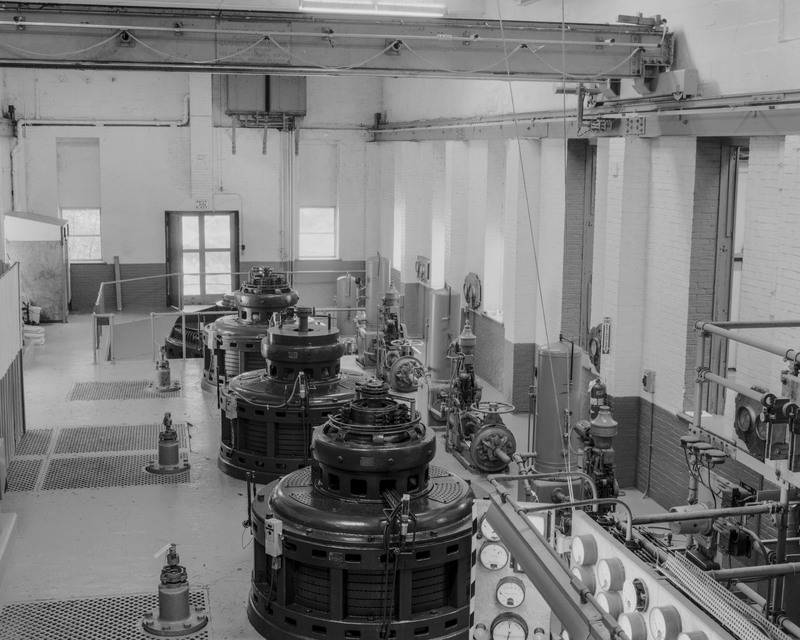 Morris of Philadelphia, while the generators were manufactured by General Electric and are rated at 750 kW each. 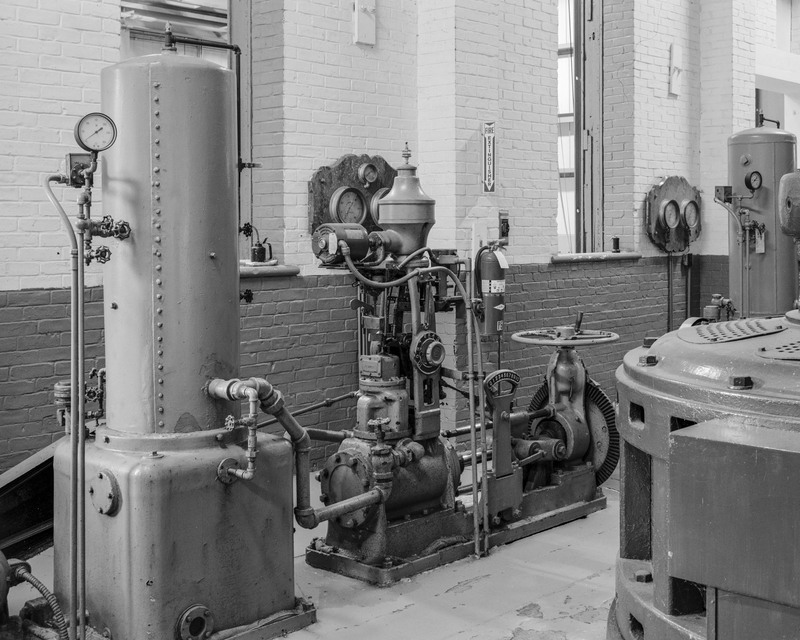 The demand for power quickly increased, and in 1926 the Company added a fourth unit (Unit 1) at the downstream end of the powerhouse, rated at 1,680 kW. 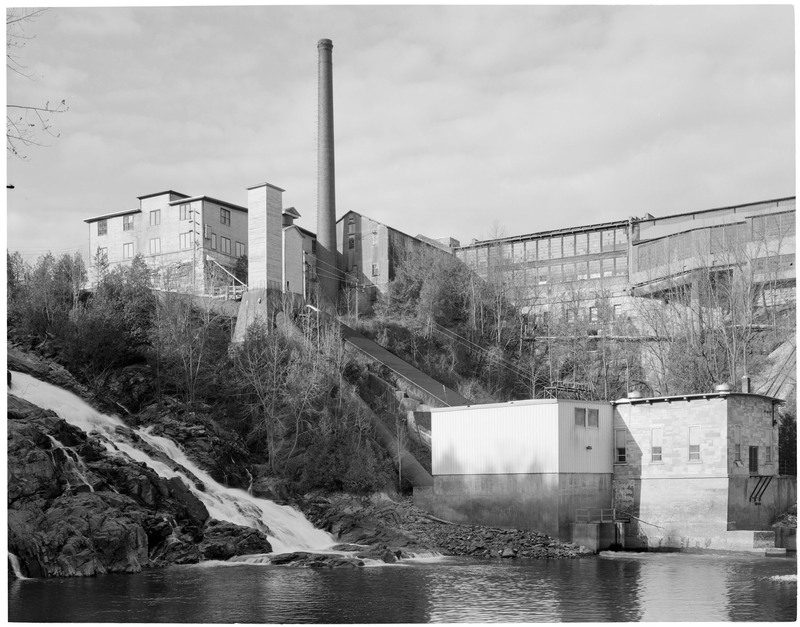 In 1984, the Vermont Marble Power Division added a fifth generating unit, for which it built an addition to the building on the river side of the original building, which can be seen in the first photo above.